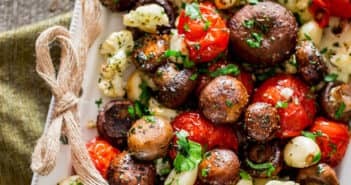 Roast vegetables might seem like an unusual choice for Christmas but, in so many ways, it’s absolutely perfect. 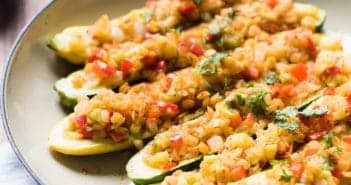 Try this lentil stuffed squash recipe. I love it, my family love it, my friends love it, and I’m sure you’ll love it too! 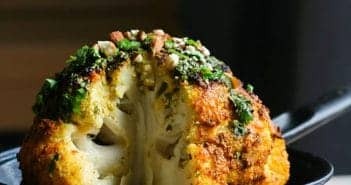 That’s why I was so excited when I found this recipe for whole roast cauliflower. Like a meat joint, you pop it in the oven whole and can carve it up when it’s time to serve. But, it’s much lighter and, of course, 100% meat-free!